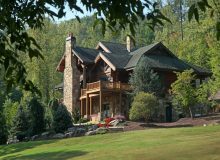 A Log House offers timeless warmth and beauty. 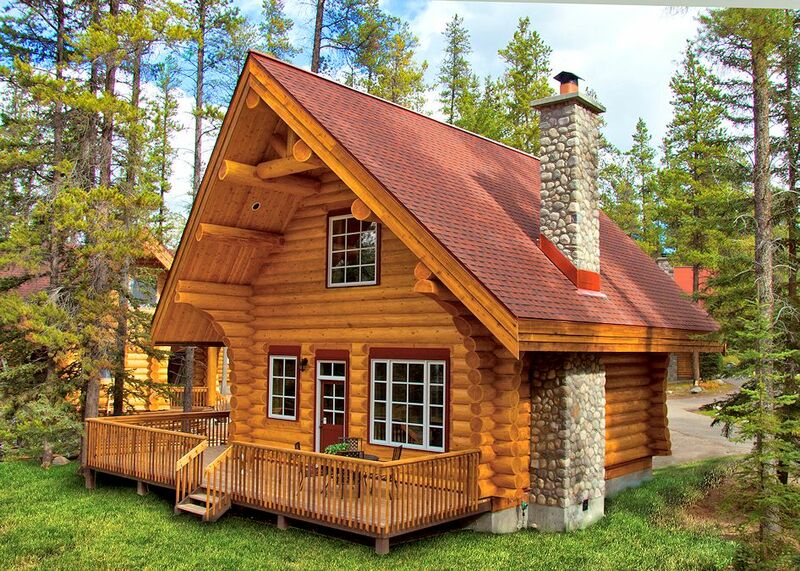 Handcrafted log construction brings strength and character to log cabins, family log homes and luxury log estates. 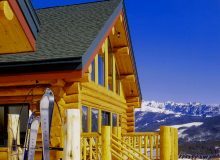 Log Post & Beam construction blends hand-crafted log joinery with frame walls to offer a wider variety of log home designs and finishing options than a full log house . Timber Frame construction has remained stylish and versatile throughout history. Large milled timbers meet standard framing to create contemporary and traditional styles. This luxury log dream home demonstrates exceptional craftsmanship and an equally impressive floor plan. 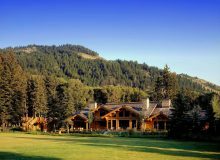 A grand log home with over 5000 square feet, 4 bedrooms, 6 bathrooms, a sun room, library and generous entertaining areas, this traditional country house design is warm and welcoming with tremendous log walls and stone fireplaces. An elegant design meets the rugged natural beauty of handcrafted Canadian log construction. 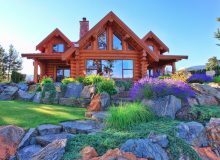 This luxurious log mountain lodge design could be your own wilderness retreat or the log house that completes your farm or ranch! Log package price in Canadian Dollars. Dreaming of a log cabin in the woods? You can build this log chalet anywhere! This efficient log home plan (under 900 sq ft) is perfect for your forest retreat, lake cottage or guesthouse with two bedrooms (plus extra loft space) 1.5 bathrooms and an open concept living area. Handcrafted from premium large logs, you’ll get the same fine quality timber and construction in an affordable log cabin package. All prices in Canadian Dollars. Bring us your ideas today and together we can build your dream home!